Merlyn Welsh Cream Liqueur is a popular Liqueurs available from Tesco Groceries in 70cl to buy online. Visit Tesco Groceries for the best price for 70cl of Merlyn Welsh Cream Liqueur or compare prices on our other Liqueurs products. This fine liqueur named after the mighty wizard of Wales has a wonderfully smooth, mellow and irresistible flavour. 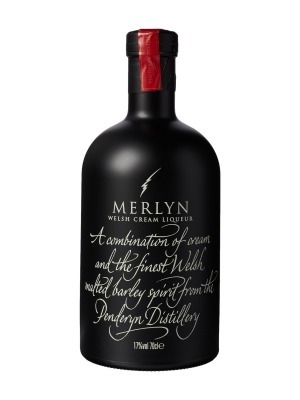 Merlyn is a unique magical blend of the finest Welsh malted barley spirit and pure fresh dairy cream. Merlyn cream liqueur is best served poured over ice and is an ideal indulgence drink or after dinner liqueur. Where to buy Merlyn Welsh Cream Liqueur ? Merlyn Welsh Cream Liqueur Supermarkets & Stockists. You can buy Merlyn Welsh Cream Liqueur online in most retailers and find it in the Liqueurs aisle in supermarkets but we found the best deals online for Merlyn Welsh Cream Liqueur in Tesco Groceries, TheDrinkShop, and others. Compare the current price of Merlyn Welsh Cream Liqueur in 70cl size in the table of offers below. Simply click on the button to order Merlyn Welsh Cream Liqueur online now.